The private sector is significantly contributing to the pool of new homes in the UK, accounting for a whopping 83 per cent of the 42,000+ houses completed every quarter. More than 41,000 new home starts were recorded in Jan-March and 42,000+ in April-June 2018, according to the latest UK Residential Market Commentary from leading real estate consultants Cushman & Wakefield. It is evident that the private sector is driving the growth of new homes, but the gap between demand and supply continues to widen. The quarterly construction completion figures for English new homes continue to fall some way short of the widely acknowledged need of 75,000. At present, it is around 40,000+ for every quarter and despite several initiatives by the government, the number of new home starts has not crossed 50,000. The year 2018 will see completion of fewer new homes when compared to 2017. Despite the announcement that a restricted version of the Help-To-Buy Equity Loan scheme will extend past the previously stated deadline (from 2021 to 2023), Cushman & Wakefield still expects housebuilder output to fall back slightly in the next few years, due to a combination of an overall cooling housing market, and restricted labour supply. Property companies like Strawberry Star are embarking on volume housing projects to meet the demand for new homes in London. 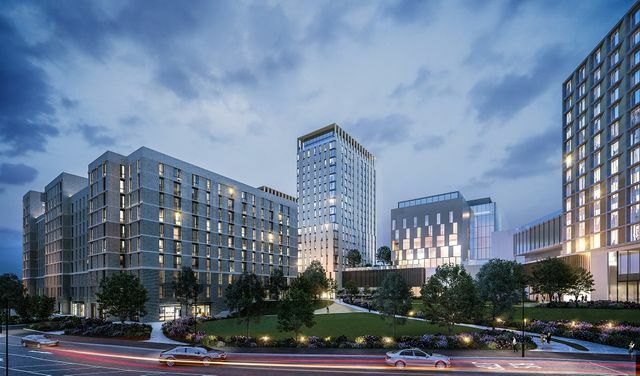 Last month, the company launched LU2ON, a mixed-use development in the UK capital’s top commuter belt town Luton to offer London lifestyle.